Istanbul is the main attraction in Turkey, and the country’s cultural, economic and historic centre. It is the fifth most popular tourist destination in the world, and is named a European Capital of Culture. The most famous places to visit in Istanbul includes Sultan Ahmed Mosque (the “Blue Mosque”), the Hagia Sophia, the Topkapi Palace, the Basilica Cistern, the Dolmabahce Palace, the Galata Tower, the Grand bazaar, the Spice Bazaar, the Pera Palace Hotel, the capital of the Byzantine and Ottoman Empires. The Istanbul city has large numbers of shopping centres, such as Metrocity, Akmerkez and Cevahir Mall, which is the biggest shopping mall in the Europe and seventh largest in the world. 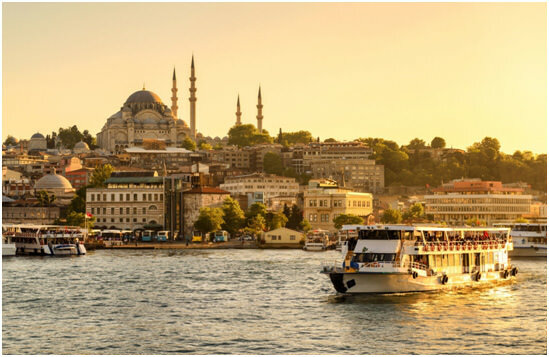 The other attractions include museums, cultural and sporting events.As the city is the fastest growing metropolitan economies in the world, many people visit the city and arrange their cheap flights to Turkey Istanbul. – Belektown known for its beaches, golf courses, thermal spas, luxury hotels and Roman sites. – Kemer coast is known for its pebble beaches, shining large marina, boutique shops and busy night life. – Lara Beach is all about 8 kilometres long sandy beach. It’s not deep so ideals for kids to play, large number of sun loungers and shades in a public beach for hire and many luxury hotels. 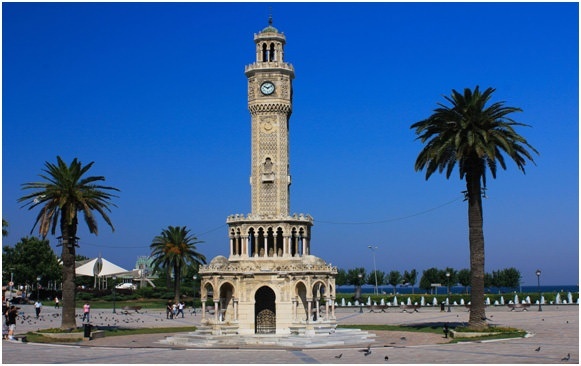 – Manavgat is a small town, and famous for waterfall and famous river. – Side is an ancient port, famous for long beaches and Roman ruins. – Altinkum is a resort town, with shiny marina, plenty of lively bars and clubs. The neighbour town Didim is more traditional with many restaurants and Roman ruins. – Akyarlar has a private bay, with a selection of restaurants and cafes, small beach with sun loungers, and many boats to hire for a day trip around the coastline. – Gundogan is on Turkey Southern Peninsula, with a 2 kilometre of white sandy beach, and the water is really shallow. There are water sports which you can enjoy, along with sun bathing space. – Torba is a picturesque sea-village around 6km from Bodrum. This place is popular for swim, fish restaurants, hotels, and a candle lit dinner on the beach. 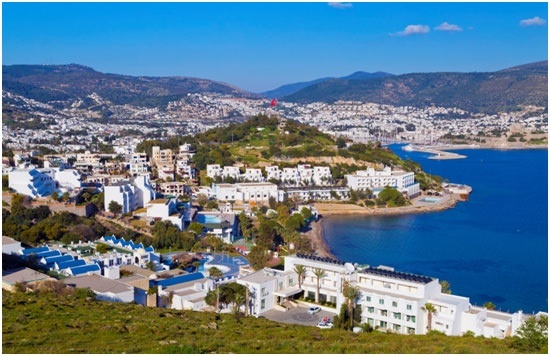 – Turgutreis resort is a 5 km of sandy beaches, waterfronts, restaurants and bars. Saturday market attracts many visitors from surrounding areas, and you can also pay in Euros or British Pounds. – Icmeler resort has a natural beauty with range of mountains, and hiking is very popular which provides fantastic view of the region. Watersports like scuba diving, water-skiing and many more you can enjoy, along with great night out in high quality restaurants and hotels. 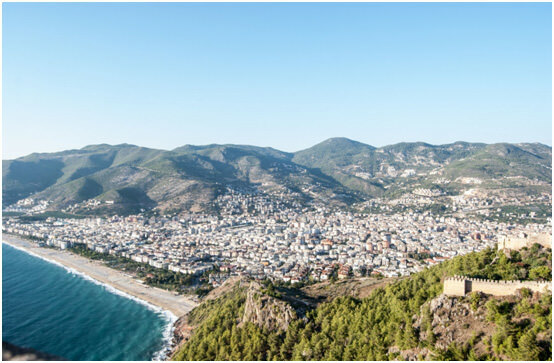 – Fethiye resort is a marine town, which attract many visitors due to its clear blue water, yacht-filled harbour, few Roman ruins, Tomb of Amyntas built in 350 BC by the Lycians carved into the faces of the cliffs. 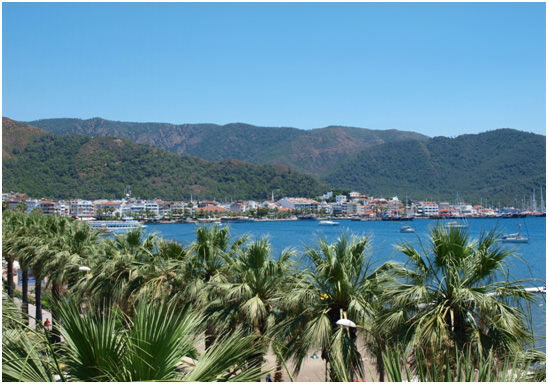 – Marmaris resort is famous for its natural beauty, and a centre for sailing and watersports. Marmaris possess two major and several smaller marinas. It’sa popular wintery location due to mild weather, and offer great restaurants, clubs and bars. – Olu Deniz is a small village and resort beach, and become the most photographed beach on the Mediterranean. The popular attractions for tourist are paragliding, due to its distinctive panoramic views provided by the Babadag Mountains. The seawater of Olu Deniz is famous for its shades of turquoise and aquamarine. Suba diving is the most popular under water activity here. – Ovacik is a small village, located next to holiday resort Hisaronu, consisting mainly of small hotels and private villas. There are some restaurants and bars for tourist, who prefers quite evening. – Sarigerme resort is a long sandy beach. There are cafes, mini zoo for the kids and picnic area for tourist to enjoy. This place is ideal for kiteboarding. – Kusadasi is a resort town on Turkey west coast. This place has good looking marina, nice restaurants, cafes and shops. The old town is ideal for shopping with traditional Turkish bazaars. – Seferihisar resort is on the west coast of Turkey.There are two areas to visit, Sigacik port and inland Seferihisar town. The country side has greenhouses of vine-stuffed, tangerine trees and olive groves. – Ozdere resort is on Turkey’s Aegean Sea coast. This place has family-friend beach, traditional Turkish restaurants and a wide range of forest covered mountains. Passports must be valid for at least 60 days beyond the expiry date of your Turkish visa. British citizens require a visa to travel to Turkey. You can apply online for Turkish Visa on https://www.evisa.gov.tr/en/ few days before you travel. The visa cost $20.00, payable by debit or credit card. You should take out comprehensive travel insurance to cover you and your family while you are in Turkey. When is the best time to book your cheap flights to Turkey? The Turkey is one of the most favourite destinations in the world, due to its all year round climate which attract tourist to experience and enjoy their holidays. The flights to Turkey from June to September will be busy and costly, depending on the location. 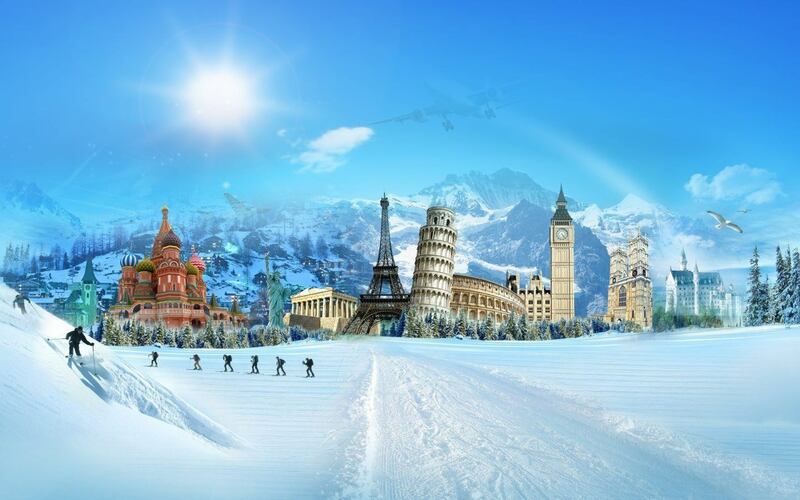 In winters, you may be able to find cheap tickets to Turkey, but due to extreme cold weather, you may not enjoy and some of the activities are closed. It is best to arrange your cheap travel well in advance,by comparing different areas of Turkey on flexible dates to avail best savings, and utilise those for shopping in Turkish bazars. The weather in Turkey varies depending on each region you are travelling to; therefore it is advisable to check the weather, so that you can pack the most suitable attire for your holidays. Which airlines operate flights to Turkey? There are many airlines offers cheap flights to Turkey depending on which airport you like to travel to. Some of the major airlines offer direct flights to Turkey, and they are Turkish, British Airways, Thomas Cook, Thomson, Pegasus, Atlas Global, EasyJet, Jet2 and Monarch airlines. Before you book your flights to Turkey, make sure to compare the prices from different airports near you and get the best deals for your money. Images – All images are copyrights by 123cheaptravel. Do not use without prior permission. www.123cheaptravel.co.uk is a comparison website; therefore we do not hold your name, address and credit or debit card details. We do not use trackers or beacons to identify users. Copyright © 2016. Theme by 123cheaptravel.